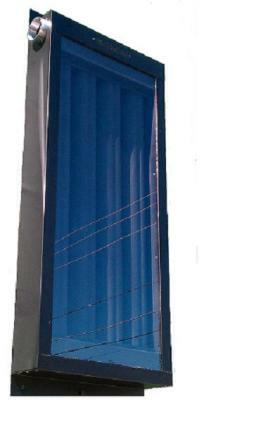 Each solar air heater module, Model 1536P contains our new "Patent Pending" solar air heater profiles. 4 modules for $1,469.95. The design of the profile captures early morning sun and late afternoon sun while transferring heat to the center. This eliminates “cool down” in flat plate and angular solar air heaters. 36 lenght by 15 inches wide.